Hotver A+ Hotmelt - DGS Group Plc. The symbol “A+” is now a well established method of identifying the superior performance of a product in the world of consumer purchasing and business to business trading. The new Hotver A+ hot melt sealant for insulating glass, is the most advanced product in it’s class in respect of key measures to ensure unit longevity and its unrivaled in respect of MVTR and Gas retention properties. Adhesion to glass is also one of the most important aspects of edge sealant and the results which have been achieved with a minimal seal depth, both dual and single seal, are simply the best. Hotver A+ can be processed with all types of manual and robotic equipment and many companies are already taking advantage of its performance, not only in respect of processing and unit integrity but also to ensure their ongoing compliance under the rules of CE marking. Why don’t you join the Hotver A+ revolution and trial it yourself – you won’t be disappointed. Lowest MVTR in class – longer unit life. Lowest gas leakage rate – improved thermal performance. Great adhesion to glass and spacer – peace of mind. Optimum application temperature 175°C – 195°C – Suits all applications. Compatible with all premium spacers. 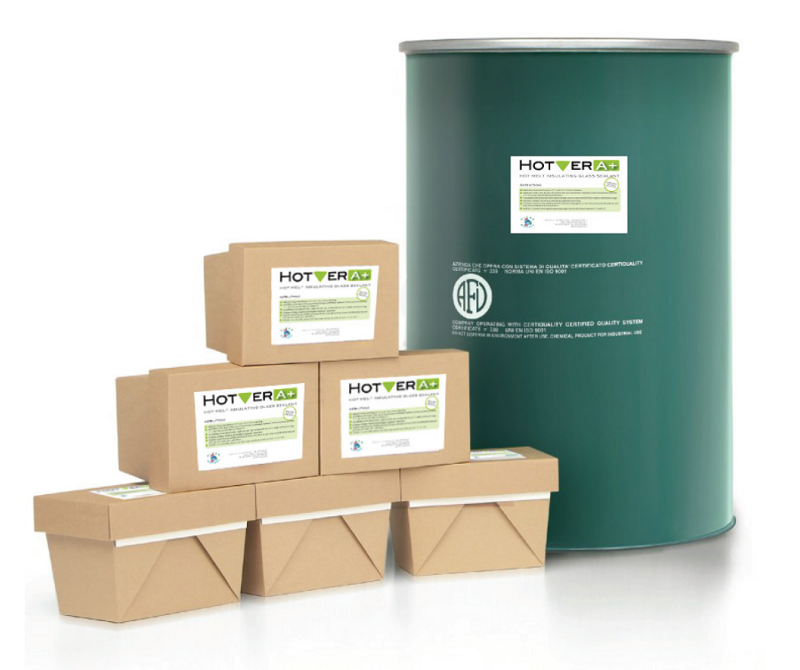 Fully certified and compliant to EN1279 Part 2, Part 3 And Part 4 – Hotver A+ can be substituted for any other hot melt sealant without further testing. Out-performs all competitors in gas retention. Best moisture vapour transmission rate (mvtr) of any IGU hotmelt product. Suitable for single, dual seal and flexible spacer applications and comes in blocks for hopper machines or drums for robotic extruders. No sticking to silicone pads. The only hotmelt with single seal accreditation (EN1279-2/3/4) at a reduced seal depth of 4mm! 27% less sealant needed in unit manufacture.